Mark Zuckerberg's sister Randi, weighing in on her brother's controversial comments about Holocaust deniers, forcefully denounced such people and "their hateful, disgusting rhetoric." But she said banning them from social media "will not make them go away," and she emphasized the importance of a healthy debate over the role tech companies should play in policing content. Randi Zuckerberg, who has long worked with many Jewish community organizations, spoke out Thursday in a statement she provided exclusively to CNNMoney. Her comments came one day after her brother drew criticism for telling Recode's Kara Swisher that some Holocaust deniers "aren't intentionally getting it wrong," and so Facebook (FB) would not remove their posts. "As a leader in the Jewish community, and someone who has worked at the ground floor of social media, I felt a responsibility to weigh in," she wrote. Mark Zuckerberg's comments drew widespread condemnation on social media and in the press, prompting him to clarify his statement hours later. "I personally find Holocaust denial deeply offensive, and I absolutely didn't intend to defend the intent of people who deny that," he wrote in an email that Swisher published on the tech news website Recode. Randi Zuckerberg, an early Facebook employee and successful entrepreneur in her own right, said her brother "could have chosen his words differently," but she applauded him for "navigating this incredibly difficult new world where the notion of free speech is constantly changing." And she lamented that a platform that has connected Jewish organizations and united people around the world also can be used as a weapon against them. "Unfortunately, when we give a voice to everyone, we give it to people who use that voice for good and to people who abuse that voice," she wrote. "Organizations doing impactful work now have more powerful tools than ever before, yet the nasty dark underbelly that exists right beneath the surface has access to those exact same tools." Removing those tools from the hands of Holocaust deniers and others who espouse hatred and bigotry won't make them go away, she said. "While it can be appalling to see what some people say, I don't think living in a sterile, Stepford-like online community where we simply press the delete button on the ugly reality of how people feel is helpful either," she wrote. What's needed, she said, is a vigorous national debate on whether Holocaust deniers deserve any platform at all. That decision, she said, does not rest with social media platforms alone. Several countries have enacted laws against Holocaust denial, and she suggested that the United States follow their lead. "As much as I disagree with Holocaust deniers having a voice at all, the reality is that it is not currently considered a crime in the United States, and if we want our social networks to remove this hateful speech and follow the lead of many countries in Europe who denounce it as criminal, we need to expand the conversation more broadly and legislate at a national level," she wrote. 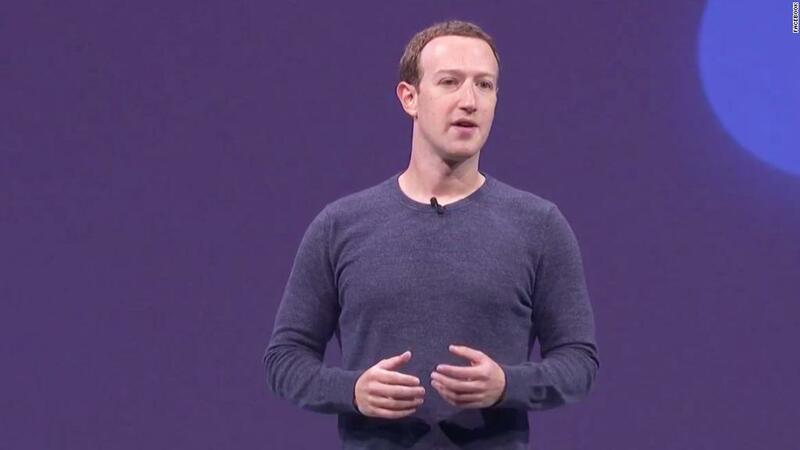 That said, Zuckerberg did call on the public to insist that tech companies and elected leaders "keep working with as much transparency as possible to keep revisiting these policies and to be ready to act swiftly at the fine line where speech turns to action." "I wish that these platforms didn't give a voice to those who cry out for divestment from Israel, make anti-Jewish remarks, and many of the other issues affecting our community today," she wrote. "But silencing everyone - or worse, silencing selectively - would be far more nefarious." Yesterday, my brother discussed the existence of Holocaust deniers on Facebook in an interview with Kara Swisher at Recode. Since then, it has sparked a tremendous amount of dialogue around the role of Facebook in policing hate speech and if social media should be held to a different standard of content than what is legally considered criminal in the United States. As a leader in the Jewish community, and someone who has worked at the ground floor of social media, I felt a responsibility to weigh in. I am appalled and heartbroken by the fact that there are still people who deny the Holocaust. My husband and I have spent the last decade involved with Jewish organizations such as Birthright Israel, PJ Library, Reboot, Wexner, The Hartman Institute, the CJM, and JCCs and Federations across the US and Canada, who work tirelessly to ensure that Jewish culture, art and heritage are preserved, and that there are safe spaces to celebrate our culture while also enjoying an increasingly assimilated, multicultural world. I feel sick to my stomach seeing such hateful, disgusting rhetoric. But as a proud techie and early Facebook employee, I recognize that none of these organizations would have the reach, fundraising capabilities, and impact that they currently do without social media. The very same tools embolden our enemies and simultaneously bring our community together to rally us against intolerance and discrimination. Banning Holocaust deniers from social media will not make them go away. Those bent on lying, sowing misunderstanding, and breeding hate will never be truly silenced. Let this remind us why we need our Jewish institutions more now than ever. Unfortunately, when we give a voice to everyone, we give it to people who use that voice for good and to people who abuse that voice. Speak to a million people and you'll get a million different definitions of who fits into which of those categories. Organizations doing impactful work now have more powerful tools than ever before, yet the nasty dark underbelly that exists right beneath the surface has access to those exact same tools. While it can be appalling to see what some people say, I don't think living in a sterile, Stepford-like online community where we simply press the delete button on the ugly reality of how people feel is helpful either. I don't want to live in a world where Holocaust deniers are given a voice and I think we absolutely need to be having a debate at a national level on whether they deserve a place on any platform at all. At the same time, I also don't want to live in a world where tech companies get to decide who has the right to speech and get to police content in a way that is different from what our legal system dictates. While my brother could have chosen his words differently when talking about Holocaust denial on Facebook, I applaud him for being a leader at the forefront of navigating this incredibly difficult new world where the notion of free speech is constantly changing. I also applaud everyone who advocates to hold our tech companies and our leaders accountable - we should expect, and even demand, that they keep working with as much transparency as possible to keep revisiting these policies and to be ready to act swiftly at the fine line where speech turns to action. That being said, as much as I disagree with Holocaust deniers having a voice at all, the reality is that it is not currently considered a crime in the United States, and if we want our social networks to remove this hateful speech and follow the lead of many countries in Europe who denounce it as criminal, we need to expand the conversation more broadly and legislate at a national level. I wish that these platforms didn't give a voice to those who cry out for divestment from Israel, make anti-Jewish remarks, and many, many other issues. But silencing everyone - or worse, silencing selectively - would be far more nefarious. Rather than rally against technology, let's recognize that this hate exists, that it's not going anywhere, and use our anger as a rallying cry to call for legislation to make Holocaust denial a crime, while supporting the organizations, leaders, and institutions working tirelessly on behalf of six million Jews and their families around the world so that we never, ever forget.